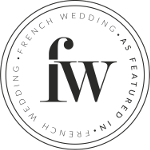 Hello French Wedding Style Readers, we hope your week has started off well. We are very excited over here as we are officially heading into the month of summer this week, I know we can’t contain our excitement either! To celebrate we are heading off to the fashion capital of the world, Paris, for a post wedding celebration. 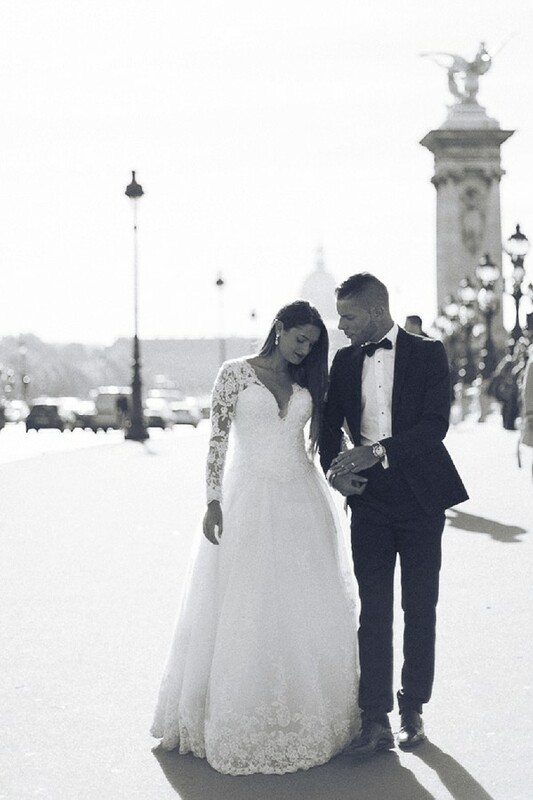 Our gorgeous bride and groom Emilie and Alexandre contacted Laurie Lise Photographe to organise a post-wedding photoshoot in Paris. 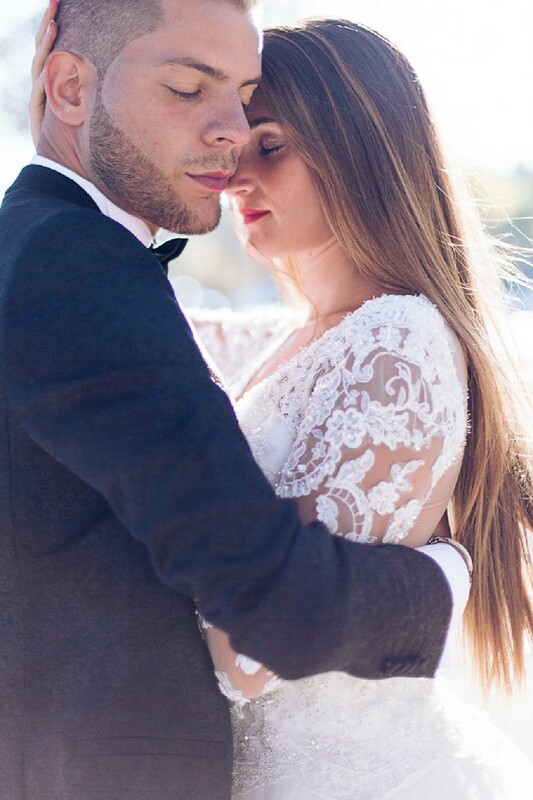 So you’ve just said “I do” and your feelings of love for one another are bursting. 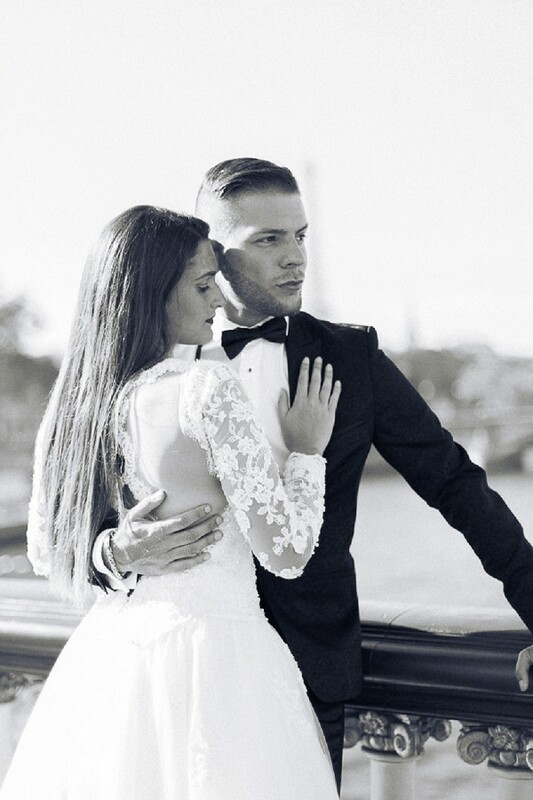 You’ve celebrated your love with all your friends and family so why not jet off to the city of love with your one and only for a utterly romantic post wedding shoot. Why wear your dress just once when you can wear it twice! We just love the idea of a romantic stroll around the most romantic city in the world to top off an already emotional, happy time. Why stop there, why not plan a post wedding shoot as part of a weekend away. 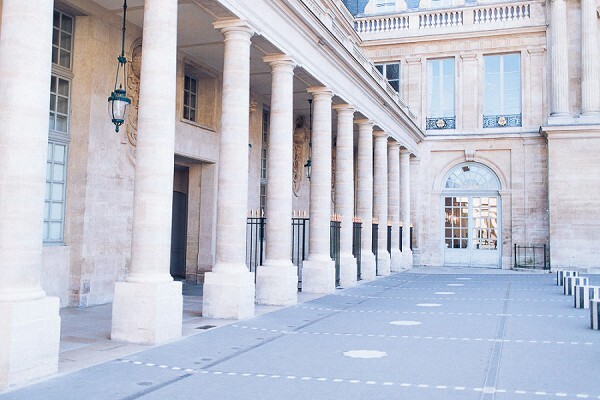 We have a great guide to a romantic weekend in Paris here as part of our wanderlust series. 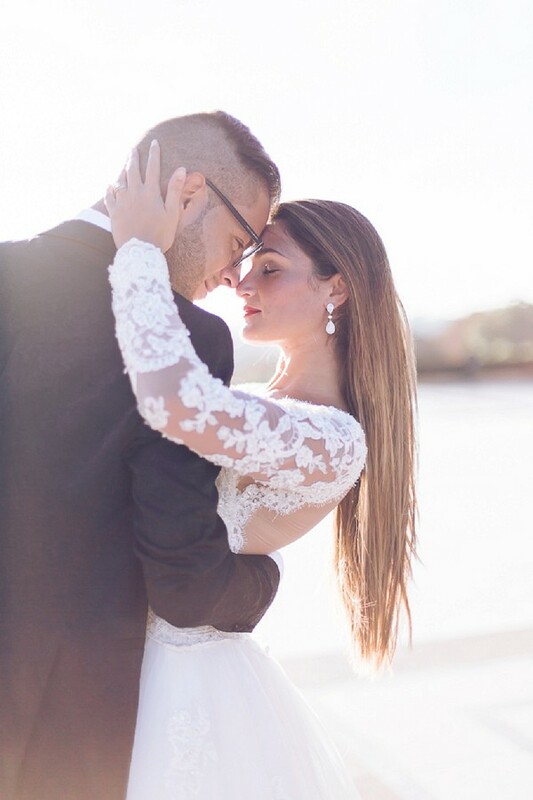 For today’s post wedding celebration our beautiful bride wore her showstopper Pronuptia wedding gown edged with beautiful lace and a pair of Christian Louboutins which perfectly complimented her dapper groom who wore a stylish Hugo Boss suit. 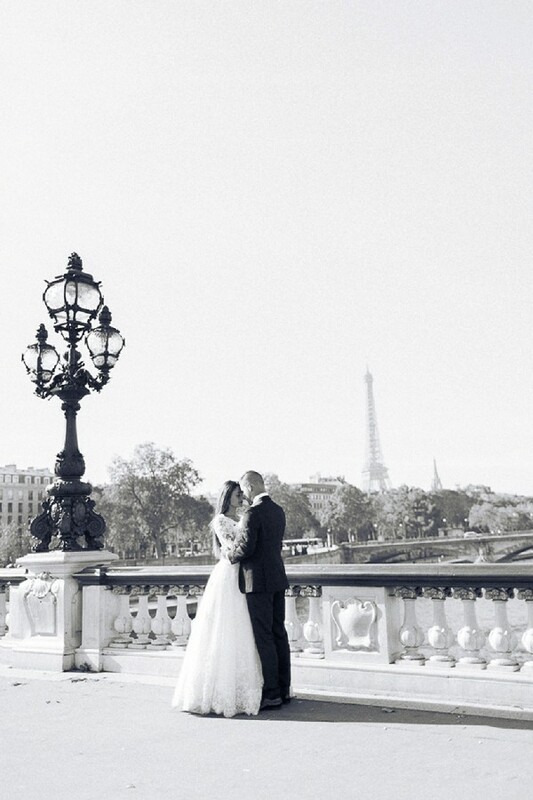 Their shoot included many of Paris’ famous landmarks which perfectly captures their trip to the city of love. Can you imagine strolling around this stunning city with your one true love, doesn’t it sound like the perfect way to spend an afternoon? You can include many different elements of Paris, The River Seine, your favourite coffee shop or patisserie or even a stroll around a famous Parisian garden, the choices are endless! 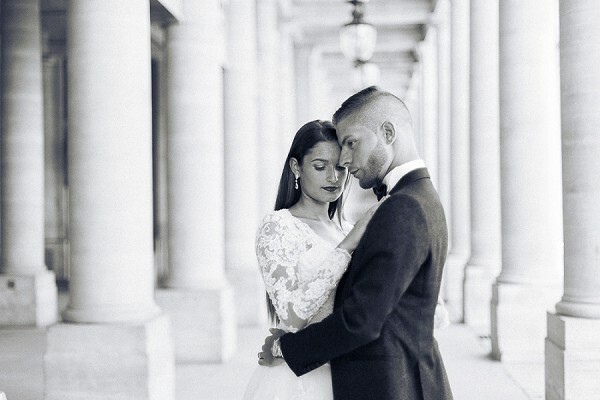 For even more ideas for your couple shoot in Paris check out this sweet love story engagement session in Paris.